Rooms and pencils are the main tools of architecture, and this week, two rooms and an article on pencil drawings have captured the attention of House & Garden’s readers in the latest issue. 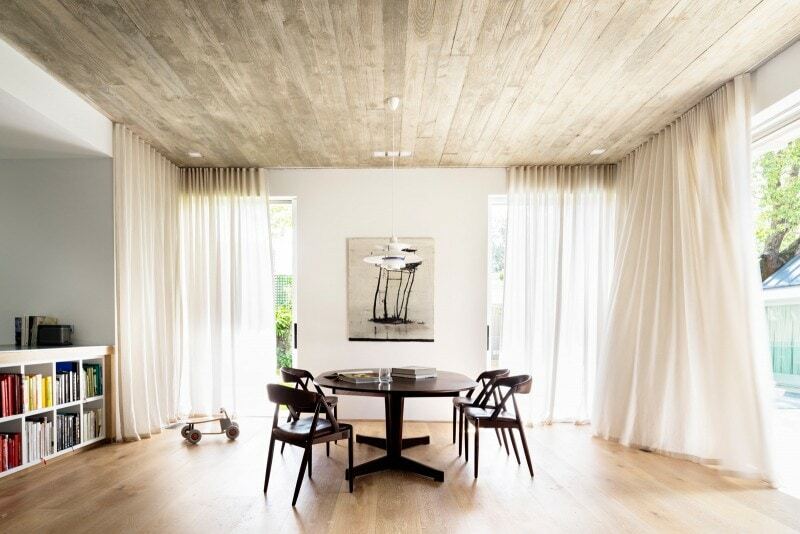 Alexandra Donohoe, Luigi Rosselli Architects’ first “in house” interior designer, won House & Garden magazine’s Best Room in their Top 50 Rooms of the Year with a reading room from the soon to be published “Balancing House” house. 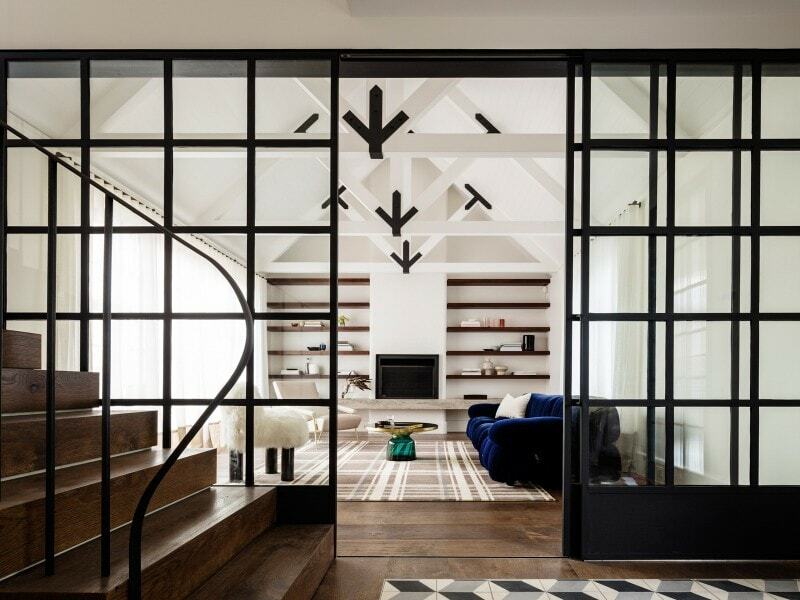 This Northern Beaches house is characterised by two crossing wings, superposed, and by the peculiar play between modern materials and traditional detailing. Our second “in house” interior designer, Romaine Alwill is the front runner in Readers’ Choice voting in House & Garden’s Top 50 Rooms, with the family room she created for “Loggia in Arcadia”. Romaine’s skill was demonstrated in reusing the client’s existing furniture and decorative pieces to create a comfortable and liveable space despite Luigi’s Brutalist concrete ceiling. 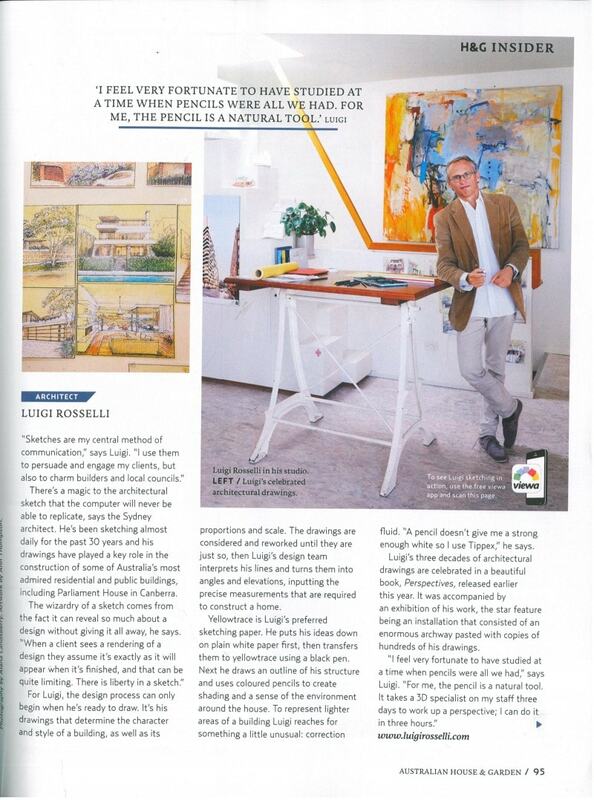 Finally, in the same issue, Luigi features in an article on the importance of traditional pencil and pen drawing; with photograph by the charming Alana Landsberry, and a link to Luigi’s new book Perspectives – 30 Years of Sketches by Luigi Rosselli Architect.